Oscar Isaac, Ben Affleck, Charlie Hunnam, Garret Hedlund and Pedro Pascal star in "Triple Frontier," the new crime/action thriller from acclaimed director J.C. Chandor ("A Most Violent Year"). They play former black ops soldiers who steal a fortune from a drug lord, only to run into impossible problems as they try to escape with their heavy, expensive cargo. 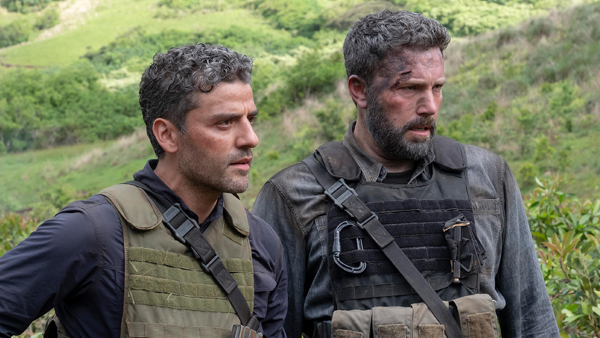 In his review of "Triple Frontier" at The Wrap, William Bibbiani argues that the film is "an ambitious and absorbing above-average thriller with something deeper on its mind, making this sometimes somber journey worthwhile."